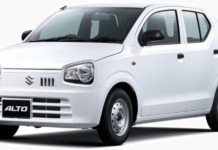 Suzuki Motor Company is a Pakistani affiliate of Japanese Automaker and also the distributor of cars in Pakistan as well as in foreign divisions. Suzuki cars are categorized among the most popular brands of all vehicles in Pakistan due to their high quality and affordability. Suzuki launched a new Suzuki Finance Arrangement Program that is the most convenient and free way of getting your car financed. The mostly produced and sold cars are Mehran, Bolan, Ravi, Swift and Cultus. Pak Suzuki and Bank Alfalah Ltd (Leading Auto Financing) bank have joined hands to provide this innovative Suzuki Financing program with multiple benefits. Now you can apply online for car financing which has multiple benefits in Suzuki Finance Arrangement Program. There are 3 types of financing modes select anyone of them of your own choice. The benefits of conventional financing are Affordable mark-up rates, Quick loan processing, No charges on Car Replacement, Balloon Payment Options and 1 to 7 years of tenure options. If you have no cash or lower then Deferred Insurance and Registration plan is best. Pay the registration and insurance charges in Monthly Installments. Suzuki Finance Program providing ease to its customers to pay a lump sum balloon payment (up to 50% of total financed amount) at the end of tenure financing. The available models are WagonR, Mehran, Cultus, Swift, Vitara and Ciaz only on maximum financing of 5 years. Here is the information about the Installment procedure with EMI Calculator. Fill the details of Bank Al Falah, Mode of Finance, Select Vehicle, Vehicle Version & Color etc. At this point here is the complete form of Personal Details, Professional Details and Vehicle and Finance Details. Fill this form completely and correctly. You can track your Application by entering your Case ID and CNIC.